Using thin glass in the manufacture of computer screens, laptops, tablets and mobile phones has become a matter of course. Applying very thin glass in the building industry, however, is new, and demonstrates the Josef Ressel Centre’s potential for innovative research. 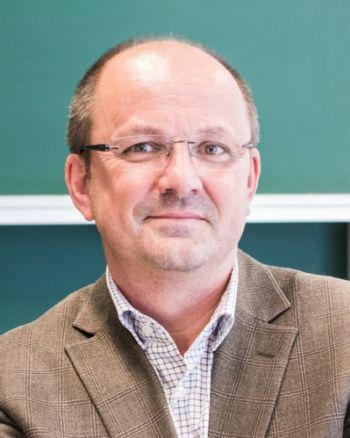 Josef Ressel Centres undertake high-quality, application-oriented research in which outstanding scientists cooperate with innovative businesses. The Christian Doppler Research Association is internationally regarded as a best practice example of promoting this form of cooperation. Where thin glass is used as a load-bearing structure, evidence is required that its bending tensile strength meets approved standards. In the literature the theoretical strength of glass is around 10,000 MPa. The actual measured bending tensile strength of non-tempered glass lies in the order of around 80 MPa. The enormous difference between the theoretical and actually achievable values can be attributed, amongst others, to defects on the surface or in the glass matrix itself. Test series are required to identify and evaluate these key influential factors and to derive correlations for indicators of load-bearing capacity. 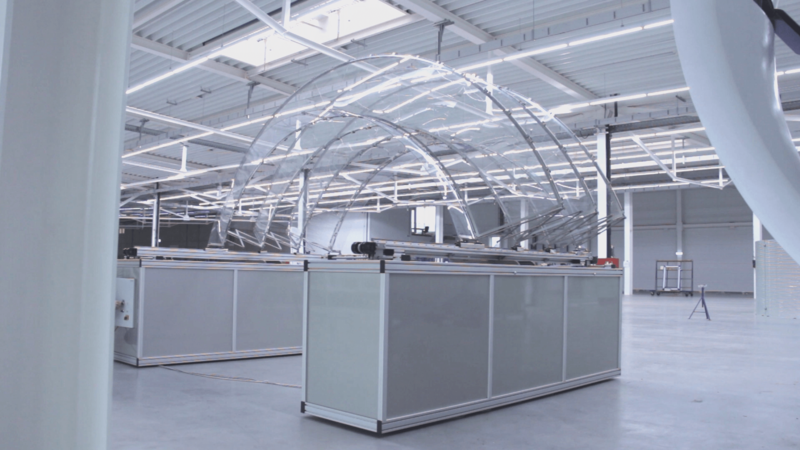 However, established testing procedures for conventional glass cannot be applied to thin glass, and so these procedures must be adapted correspondingly or new ones developed. In most cases safety specifications demand the use of laminated safety glass; this consists of at least two layers of glass, each separated by a sheet of synthetic material. Various types of synthetic film are available on the market. 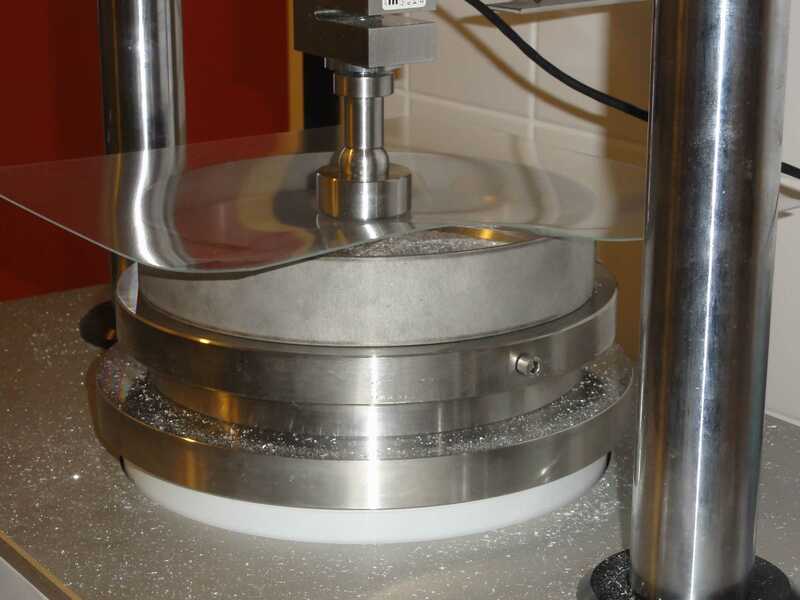 Tests will be undertaken to evaluate the mechanical characteristics of a variety of films of different compositions, and their bonding behaviour with glass. The advantages and disadvantages will be investigated in order to determine their suitability. The structural design in terms of mounting plays a key role in determining the load-bearing capacity of glass structures. Therefore particular attention will be paid to component connections in joining technology by examining local stress concentrations. Although such thin glass is very flexible, when bent it is potentially very stiff. 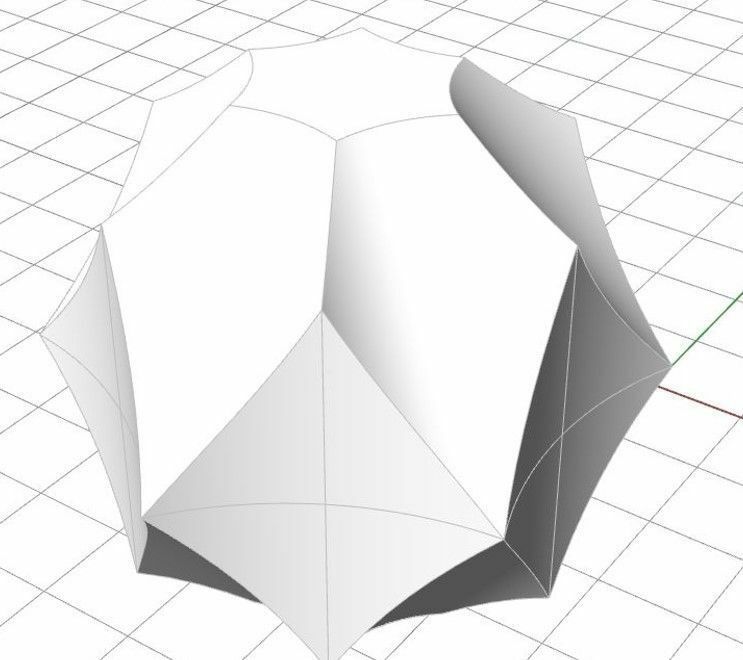 Based on the theory of “developable surfaces”, potential geometries will be analysed for their practicability in flexible and adaptive systems. 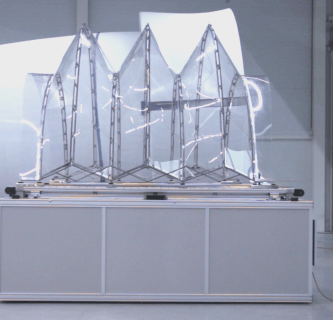 The scientific findings with respect to strength, composite effects, joining technology and geometry will be used to identify potential fields of application for thin glass in structural engineering. 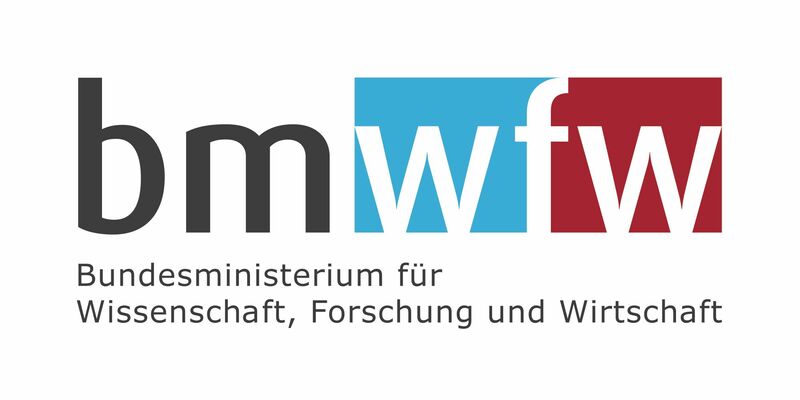 Josef Ressel Centres are funded jointly by the Federal Ministry of Science, Research and Economy (BMWFW) and the industrial partners involved.